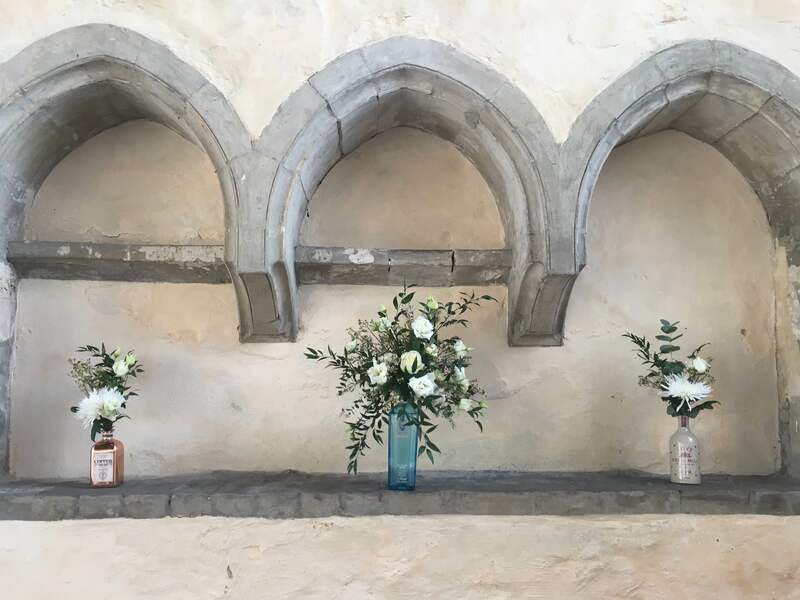 Create a stunning first impression of your wedding by making sure that the ceremony venue is beautifully decorated with fresh flowers carefully chosen to match your colour scheme. 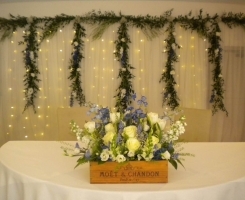 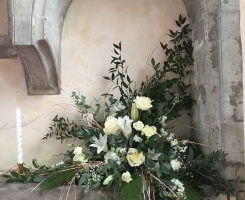 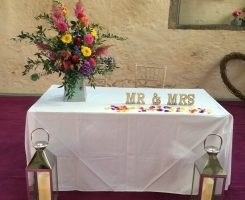 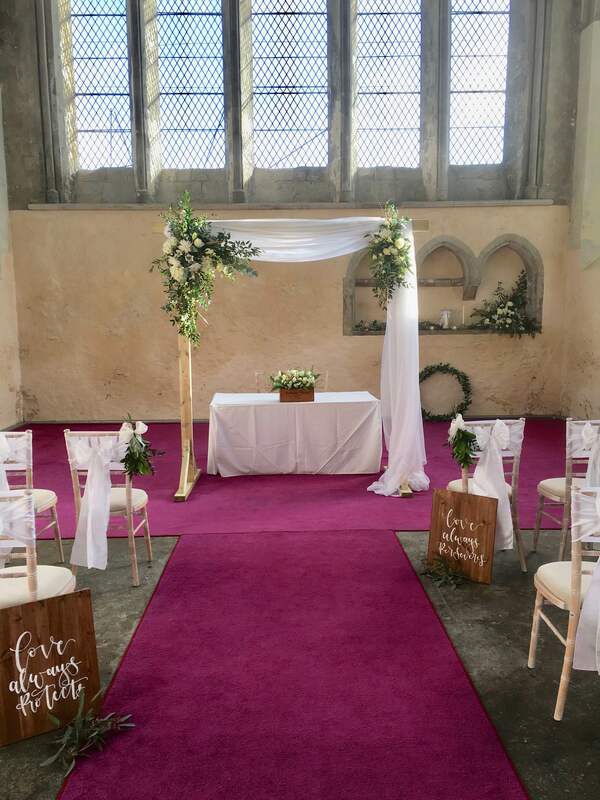 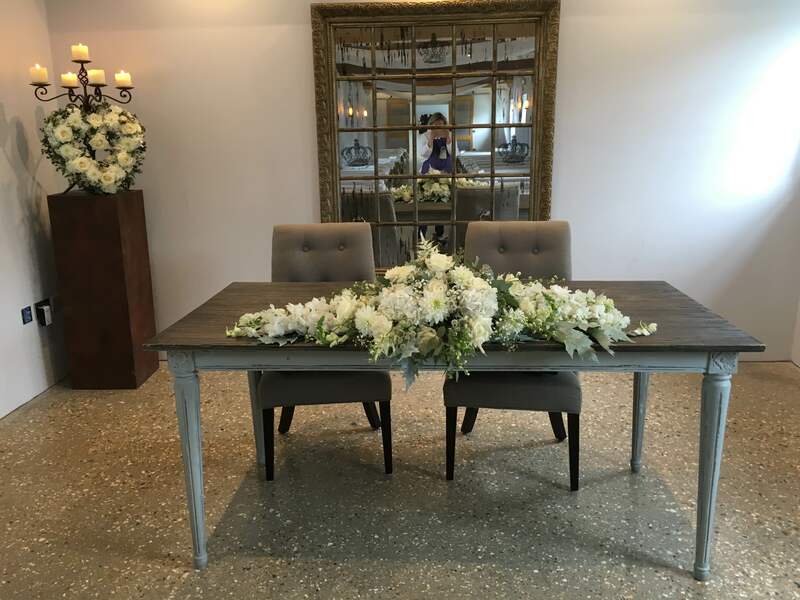 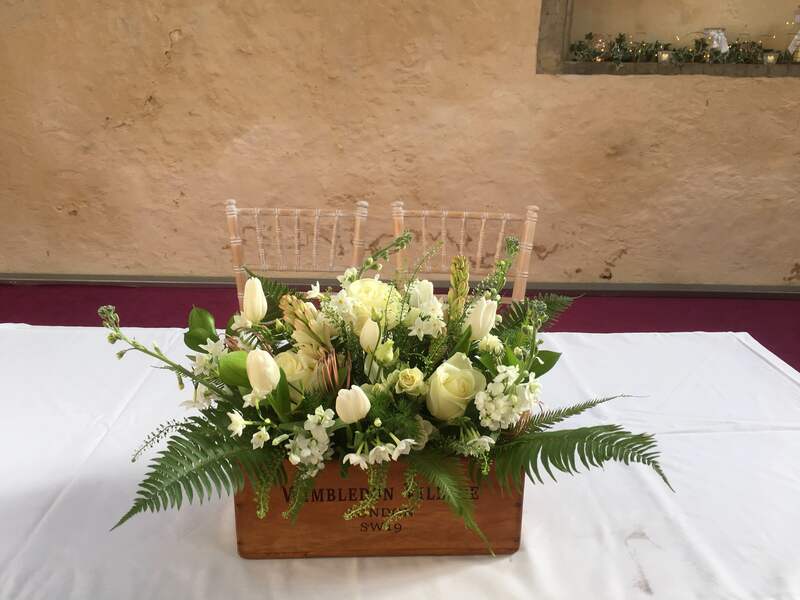 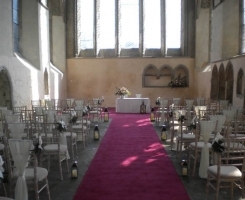 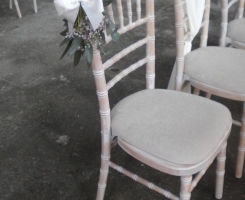 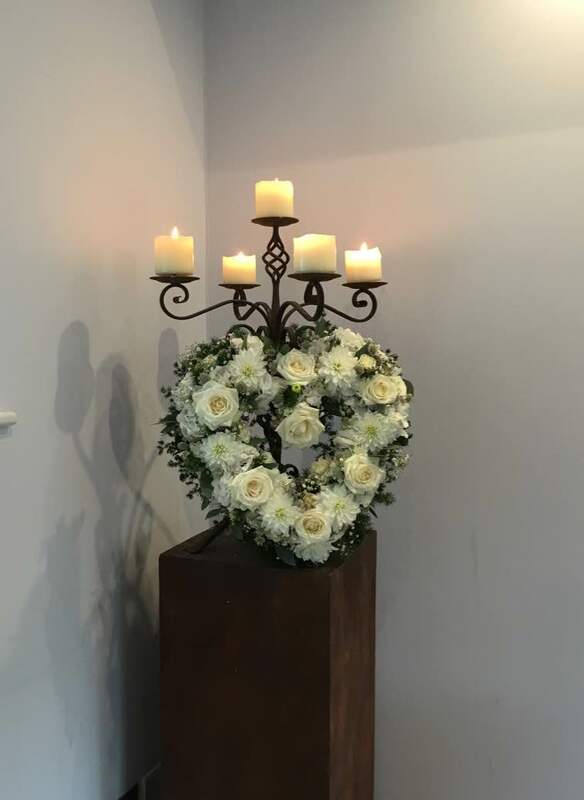 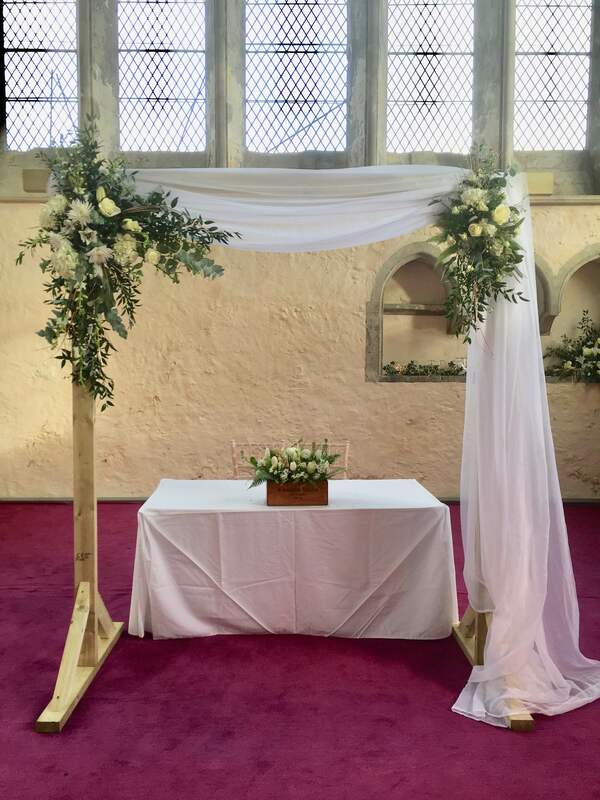 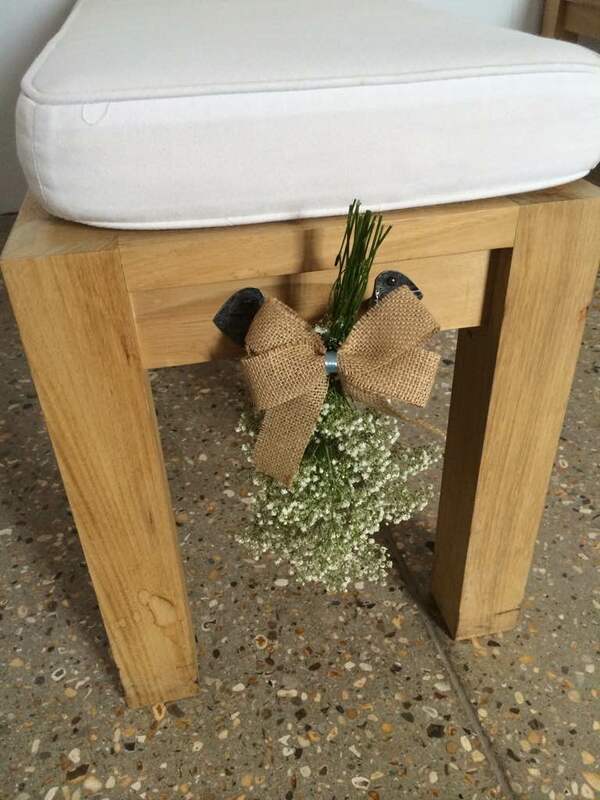 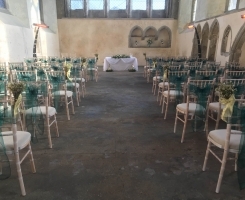 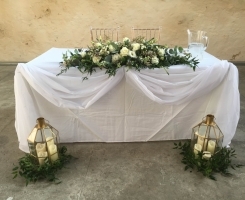 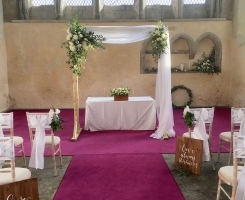 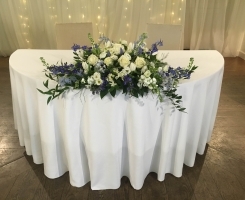 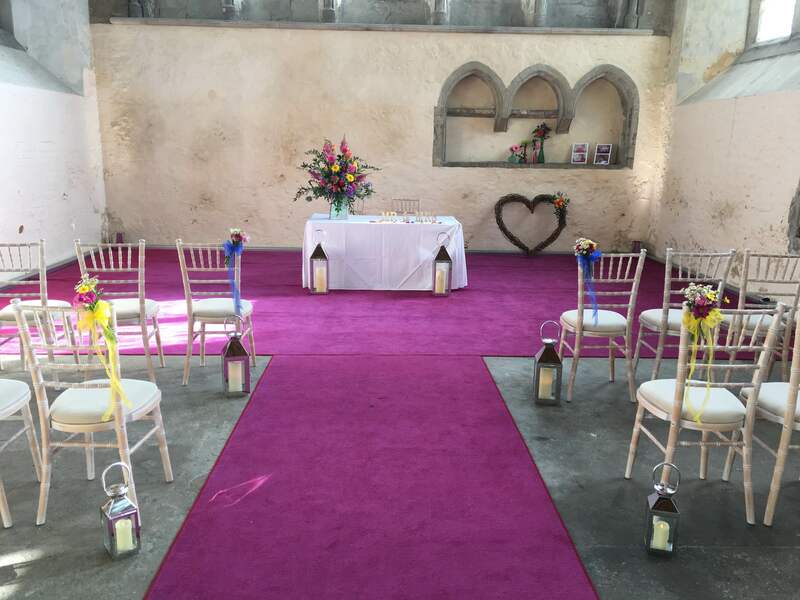 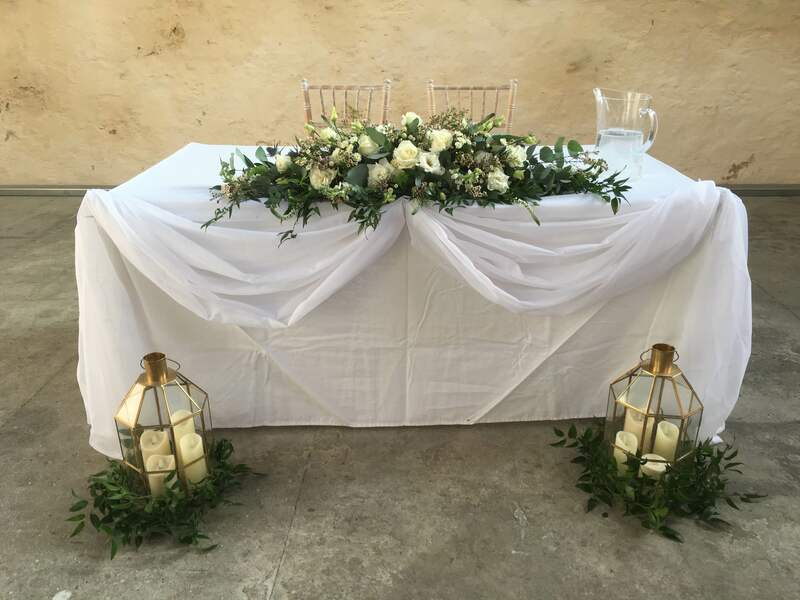 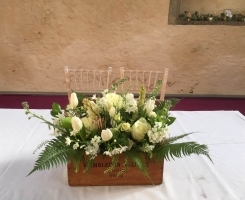 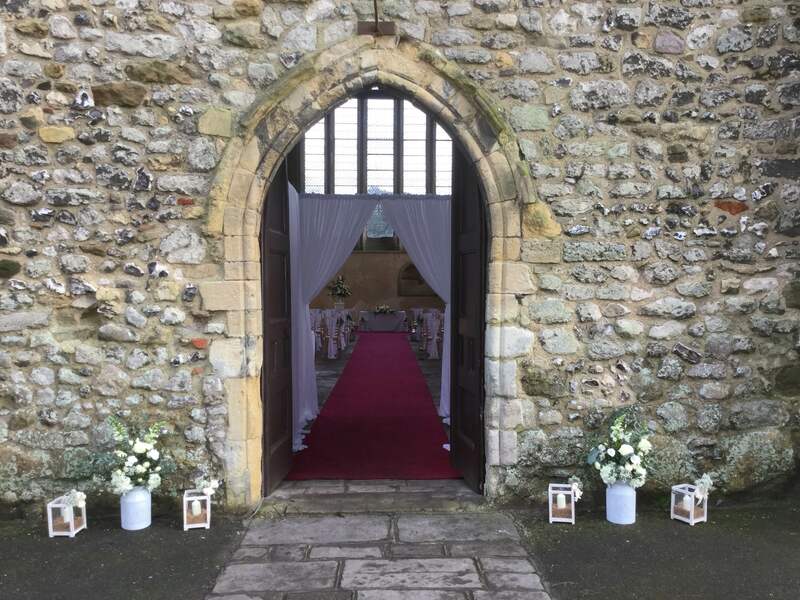 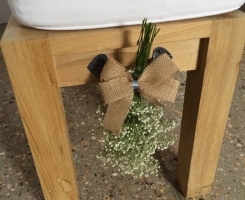 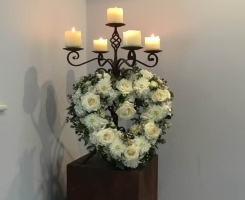 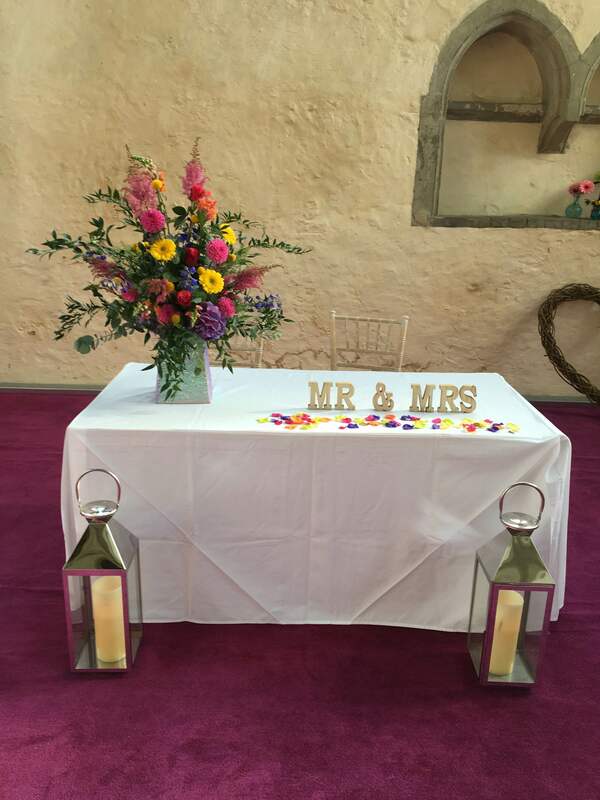 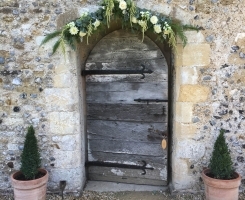 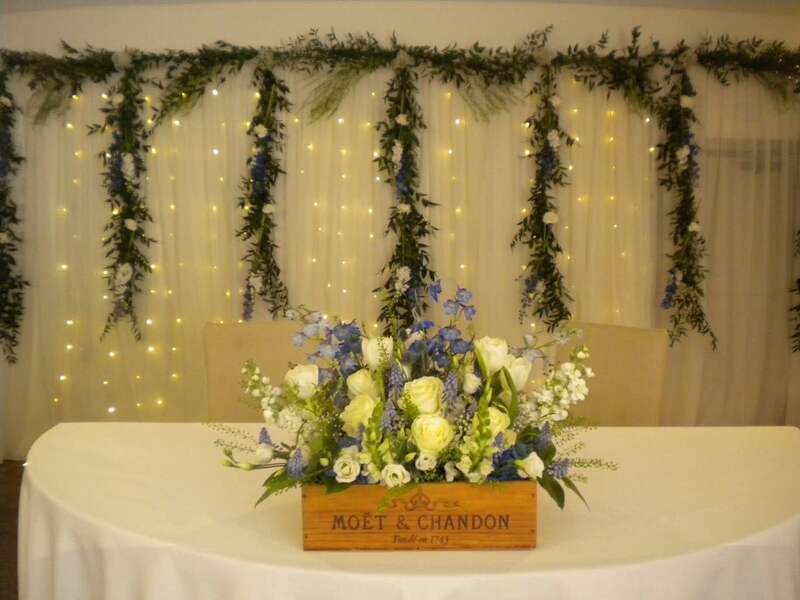 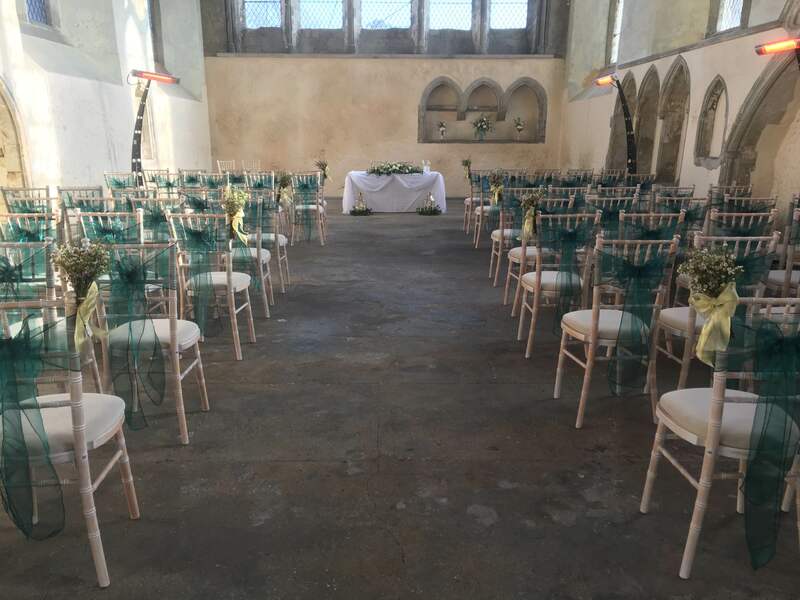 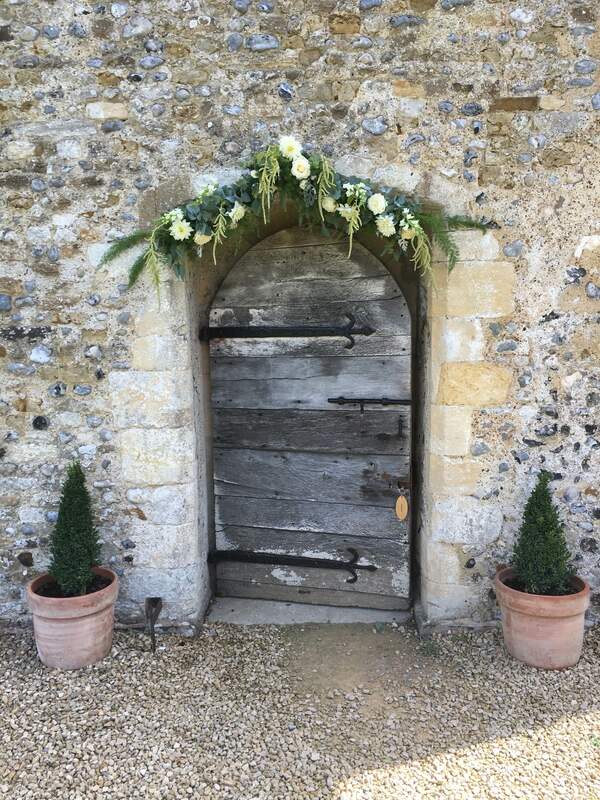 Earth Seed to Bloom is an experienced wedding florist and happy to travel throughout the Chichester and Bognor area to decorate your wedding venue. 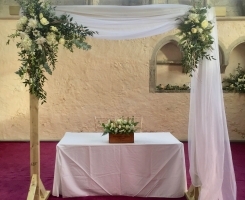 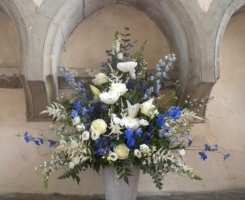 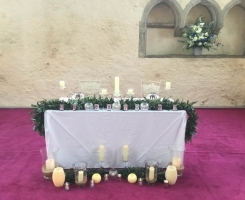 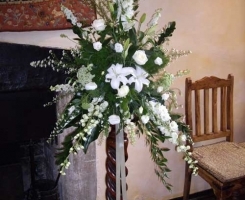 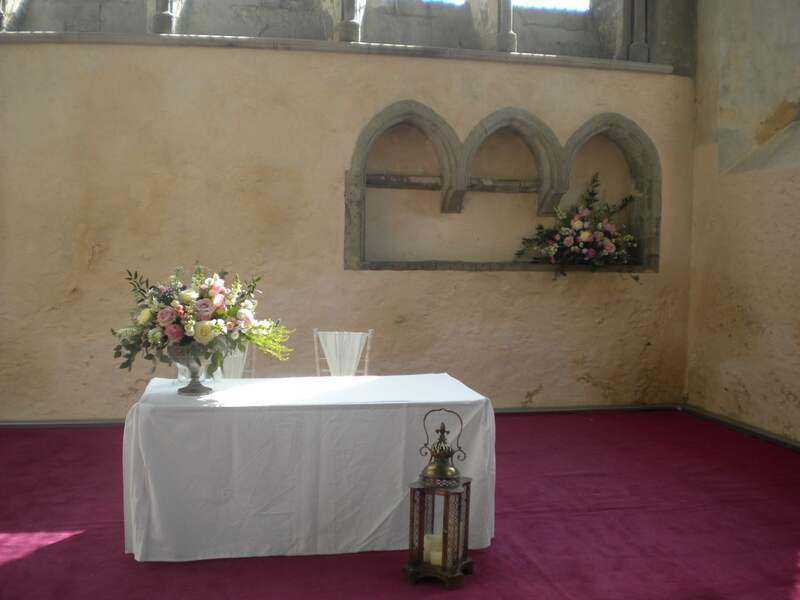 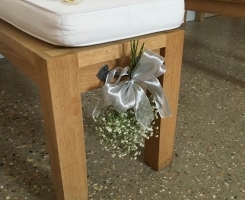 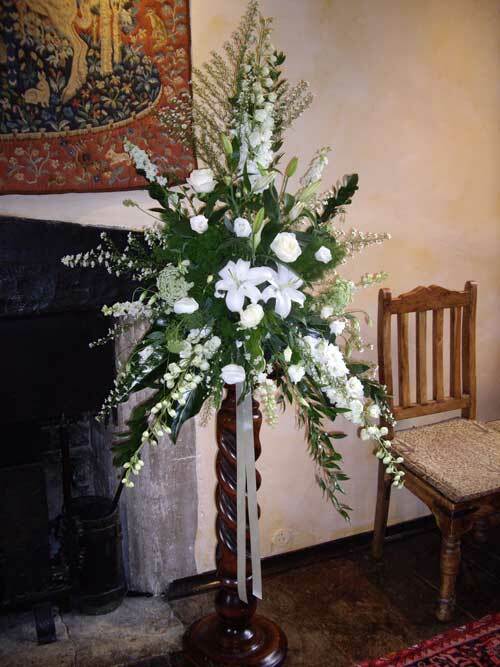 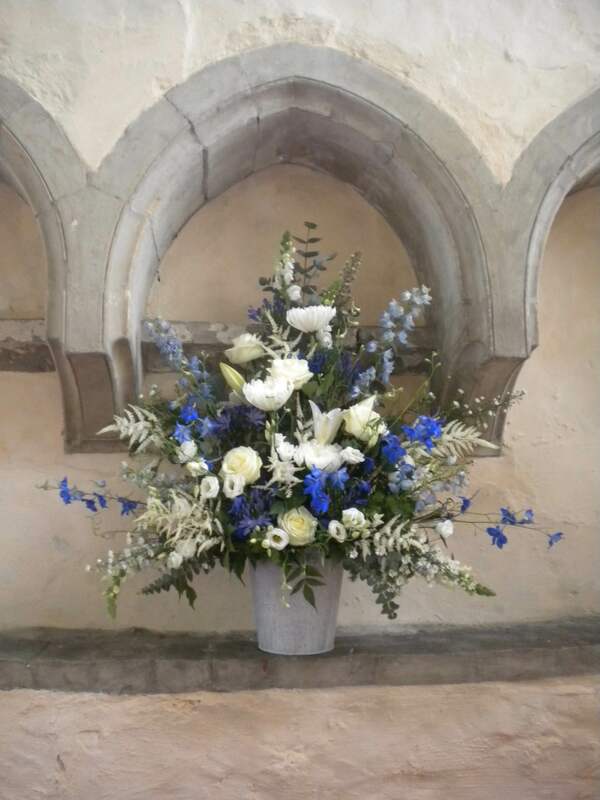 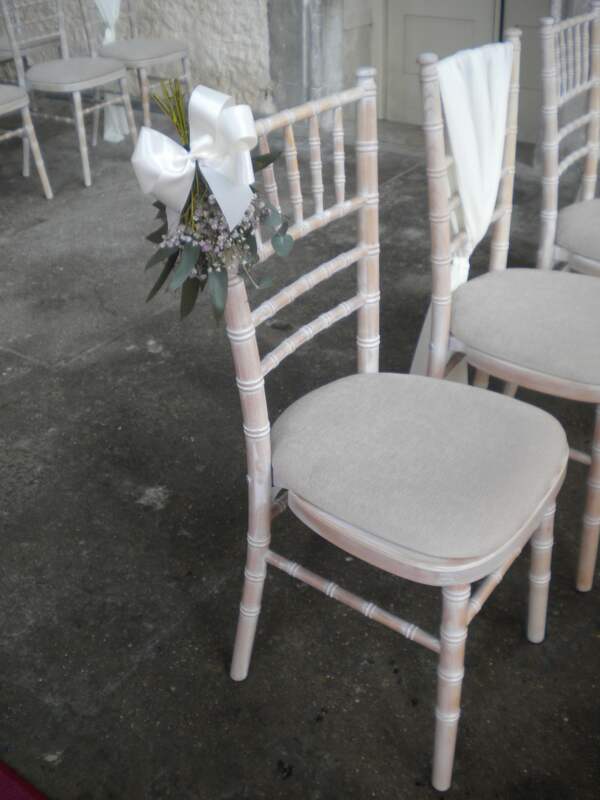 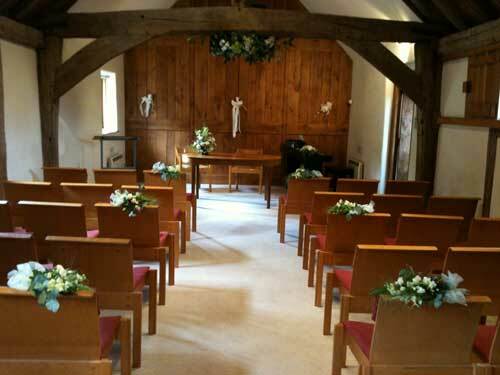 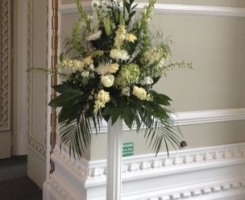 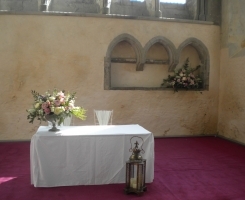 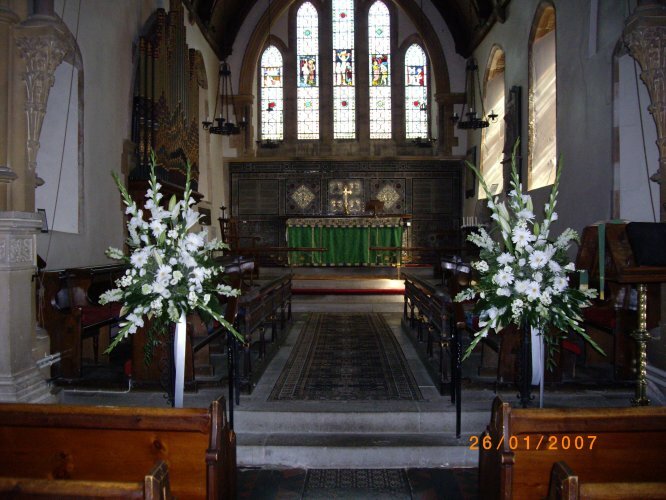 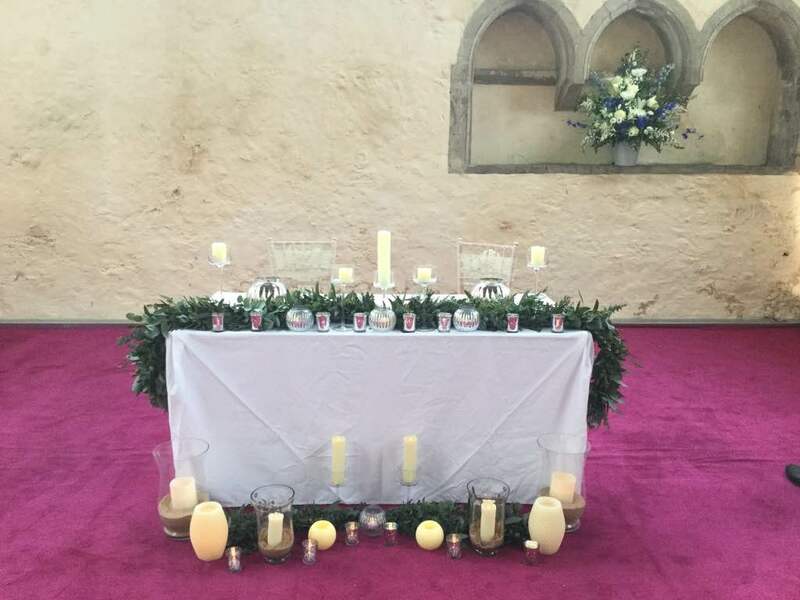 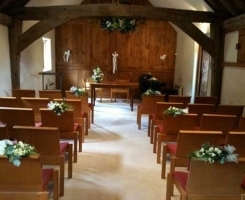 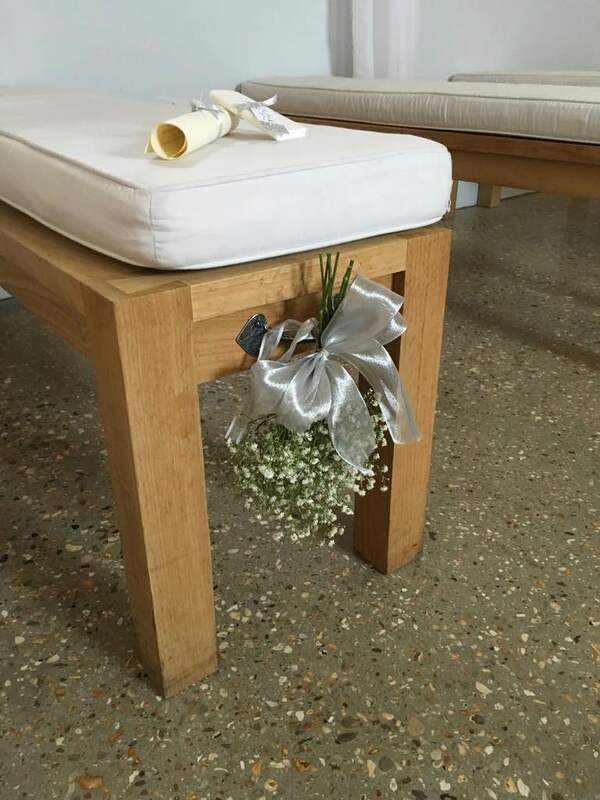 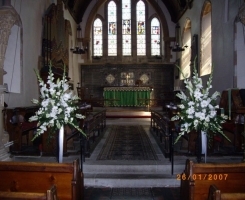 We can provide floral arrangements for the pew ends, pedestals and entrance as well as larger displays for the altar. 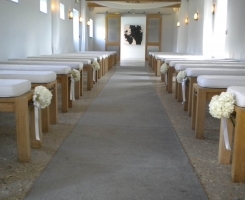 If you are on a tight budget, we can advise you on ways to maximise visual impact whilst minimising the cost. 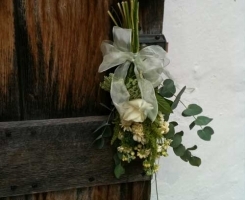 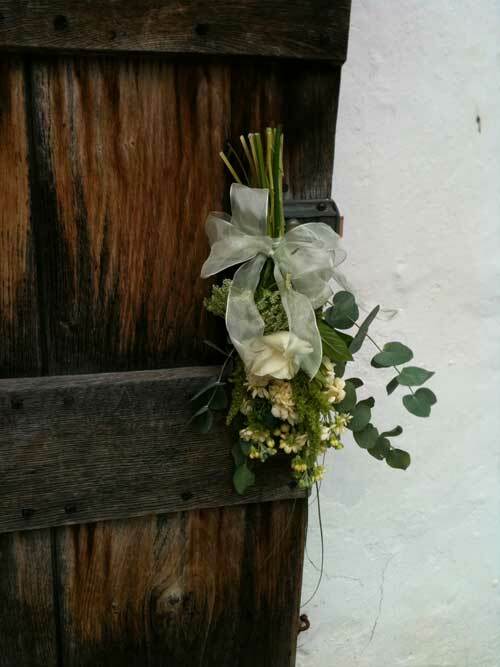 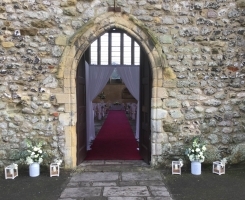 Maybe limiting your flowers to the church door where the photos will be taken would be the right solution for you? 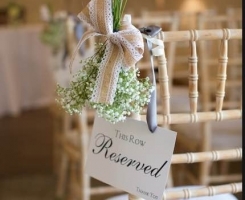 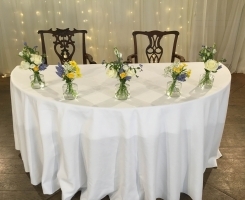 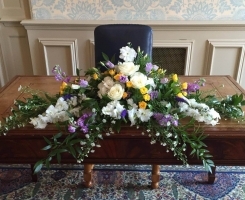 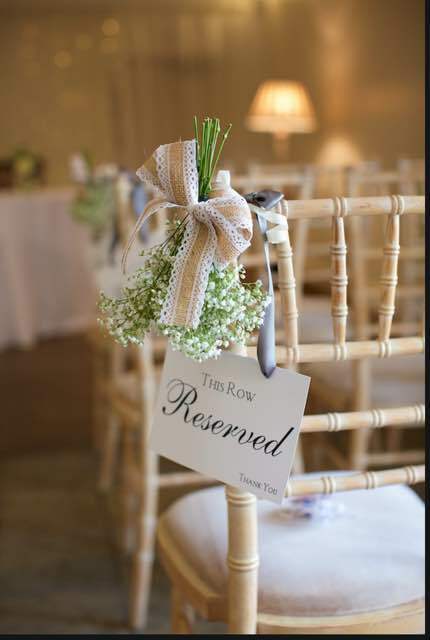 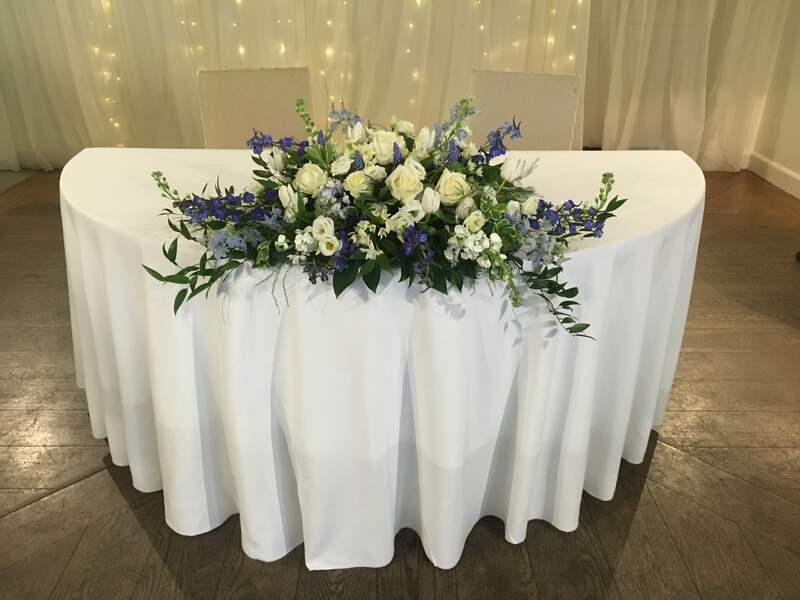 The ceremony room in a registry office will usually be decorated with flowers already, but if you have a particular colour scheme or set of blooms in mind, you can always ask to bring your own flowers with you. 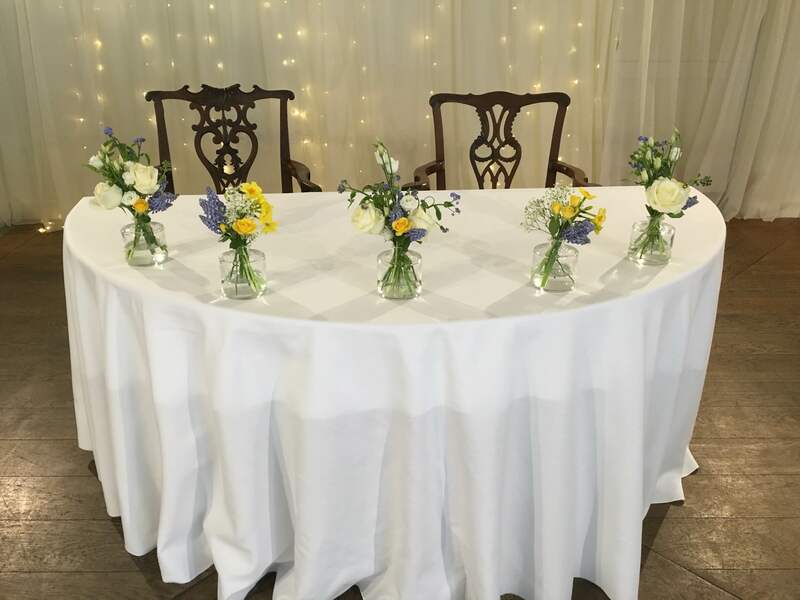 If you are getting married in another licensed venue, it is a good idea to have the place where you take your vows decorated with flowers. 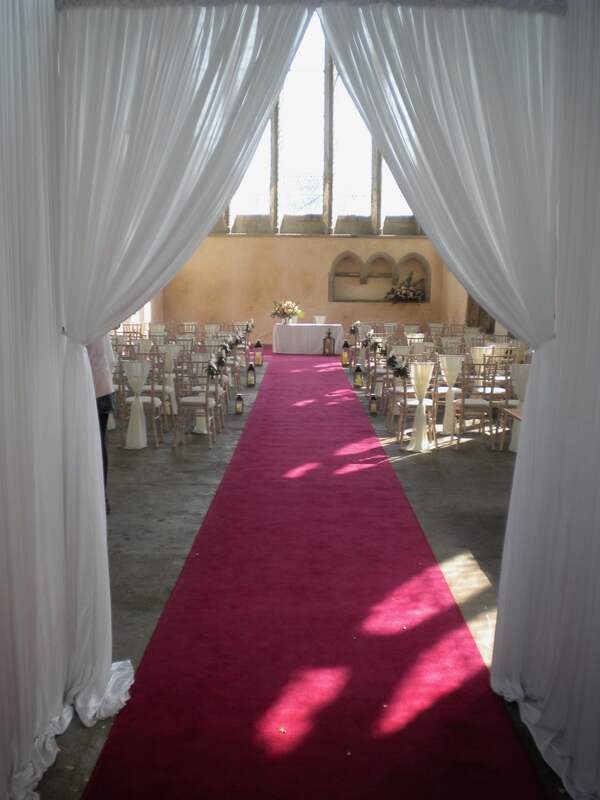 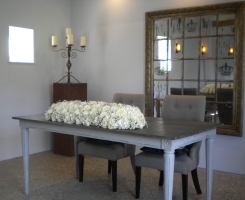 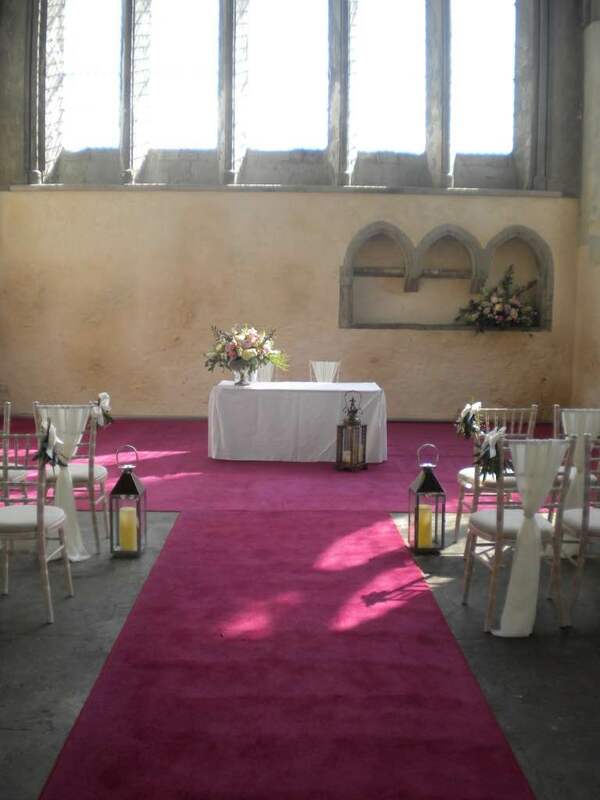 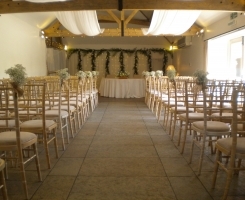 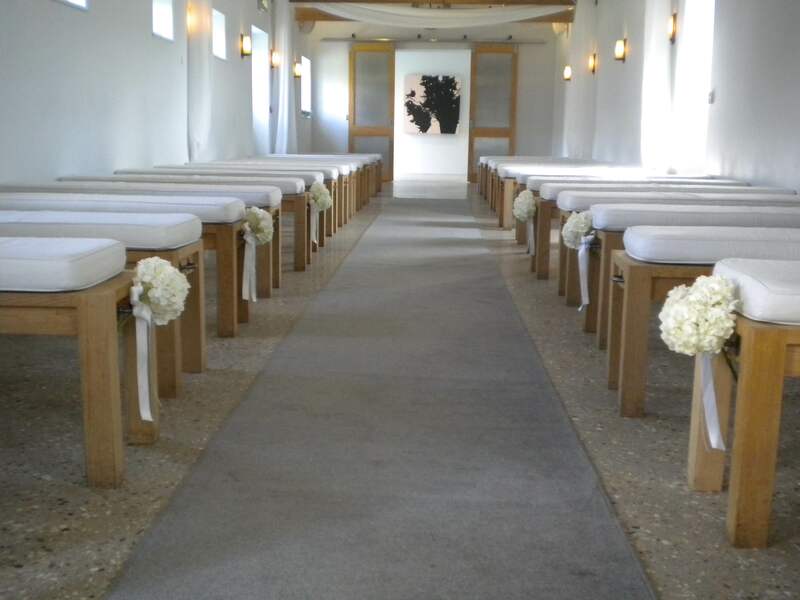 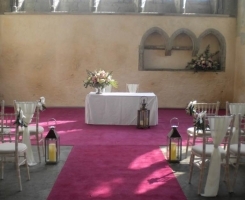 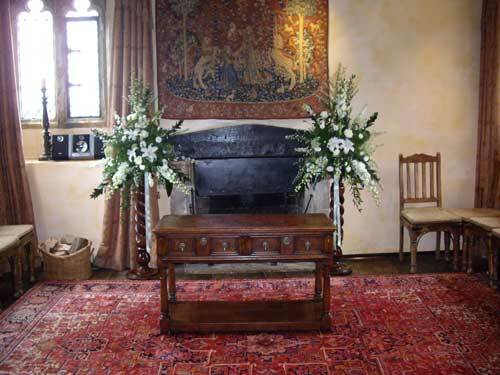 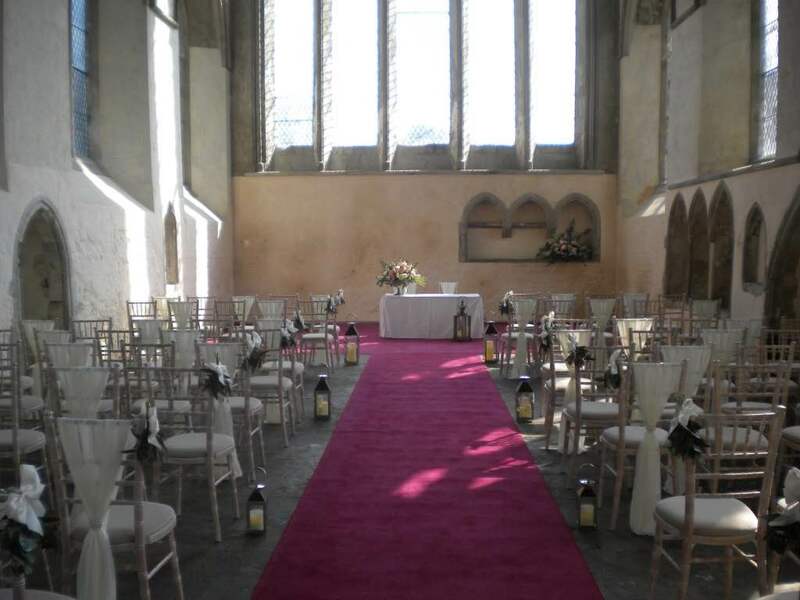 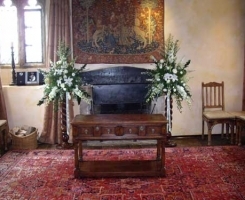 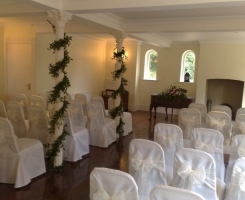 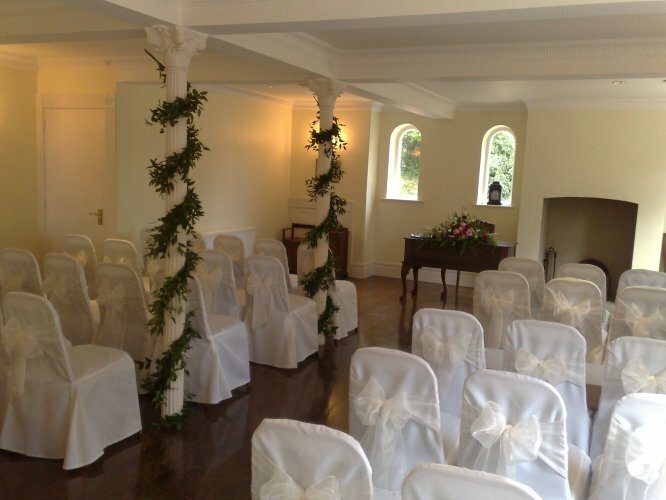 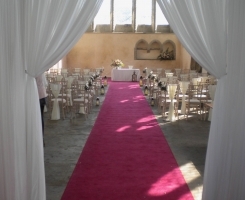 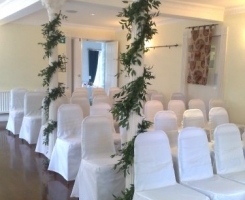 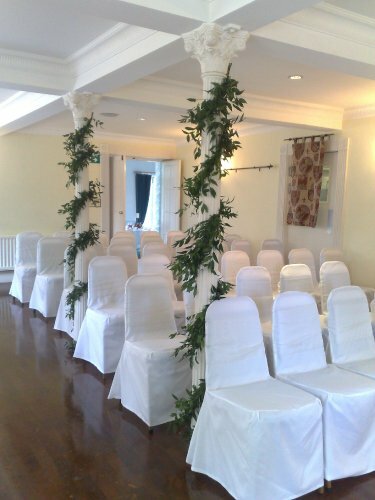 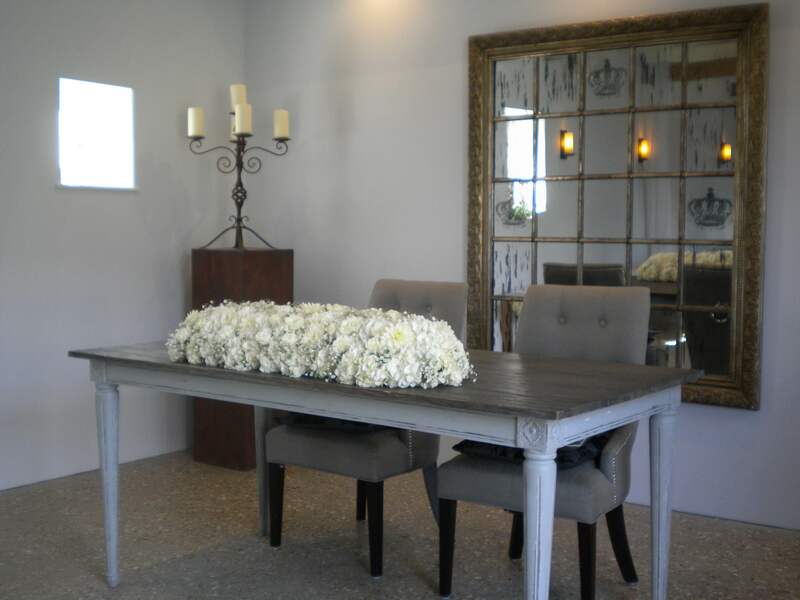 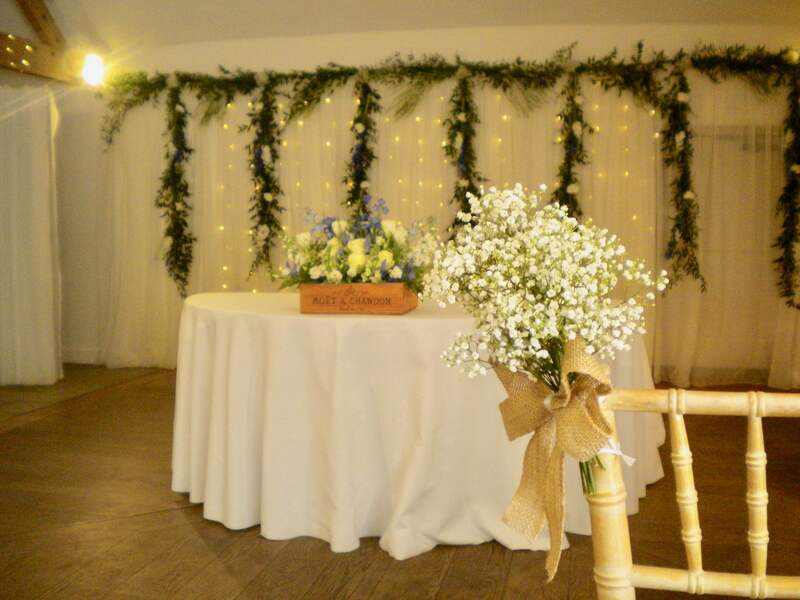 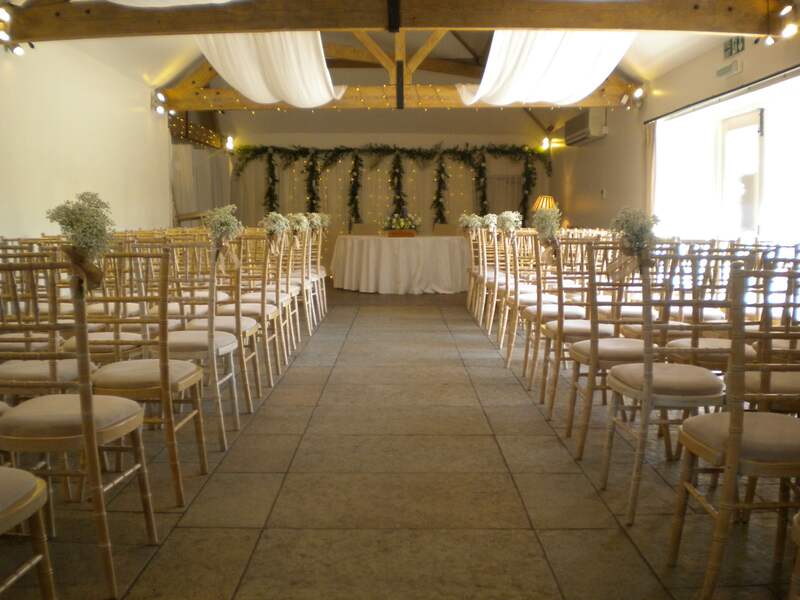 This creates an extra special atmosphere and the flowers can always be moved to tables in the reception area later on. 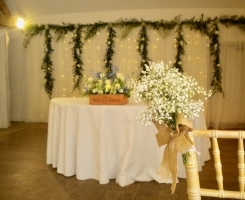 Come and talk to Gill at Earth Seed to Bloom and we can discuss how to make your special day even more special! 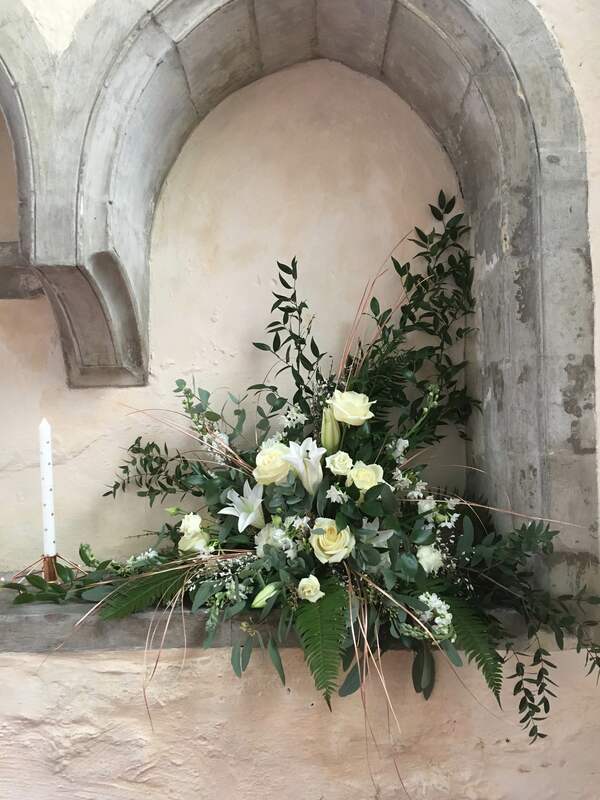 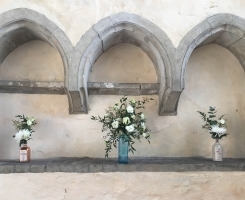 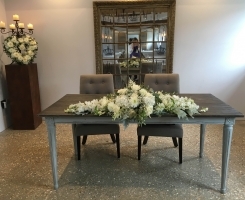 Earth Seed to Bloom is based in North Mundham, West Sussex and provides a full wedding flower service to the area surrounding Chichester and Bognor. 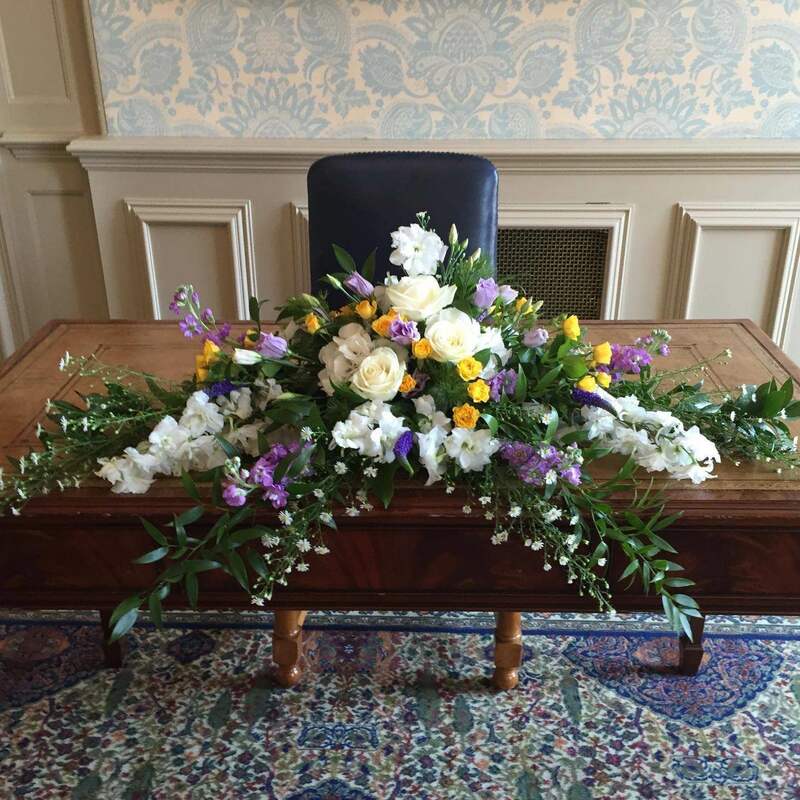 From bridesmaids posies through to striking bridal bouquets we will provide you with beautiful flowers for your big day. 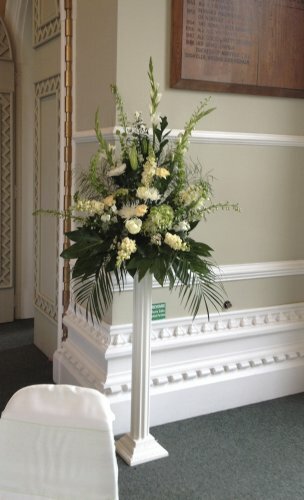 Contact us to discuss your wedding flower requirements and to take a look at our wedding portfolio.